Get high availability, outstanding performing and reliable managed Dedicated Internet Access (DIA). Access the Internet over a variety of interface types and speeds, via non-shared connections. With many bandwidth options available, our Dedicated Internet Service is designed for businesses and ISPs that want to consolidate their communications links while improving levels of performance and stability. Fiber can be delivered to just about any location however, DIA fiber charges are sometimes higher than alternative connection options. Fiber provides the latest in technologies, highest speed throughput options, highest quality (low latency & packet loss) so you can do pretty much anything with the connection. With end-to-end network management, industry leading Service Level Agreements and excellent customer service, Fiber Internet is a sensible choice for growing businesses that require fast and reliable high-performance Internet access at a reasonable price. EoC - (Ethernet over Copper) Distance is measured as wire feet from the serving central office to premises. Other variants can influence the actual end resulting speed for example, old or unsatisfactory cables which can often downgrade the signal. With end-to-end network management, industry leading Service Level Agreements and excellent customer service, Fiber Internet is a sensible choice for growing businesses who require fast and reliable high-performance Internet access at a reasonable price. Are you experiencing trouble with your internet connection or internet provider? Would you like to have a more responsive internet provider? Are you looking to consolidate branch internet connections to a single vendor so you can increase savings and reduce vendor management? Global IT offers nationwide coverage for Telecom, Dedicated Ethernet Internet Access (DIA ) T1 providing businesses and ISPs with access to the Internet over a variety of interface types and speeds, via non-shared connections. With many bandwidth options available, Dedicated Internet T1 Service is designed for businesses and ISPs that want to unify their communications while maintaining the highest levels of performance and stability. Business grade cable 100/10Mbps starts at $249.99/Mth and includes priority data center routing, Cisco router, equipment, and static IP. This business level system provides an optimum level of service from what customers would typically receive with coax. Why we are different: At Global IT our support culture has evolved to provide unparalleled customer service and dependable technologies which ultimately deliver reliable and affordable services. 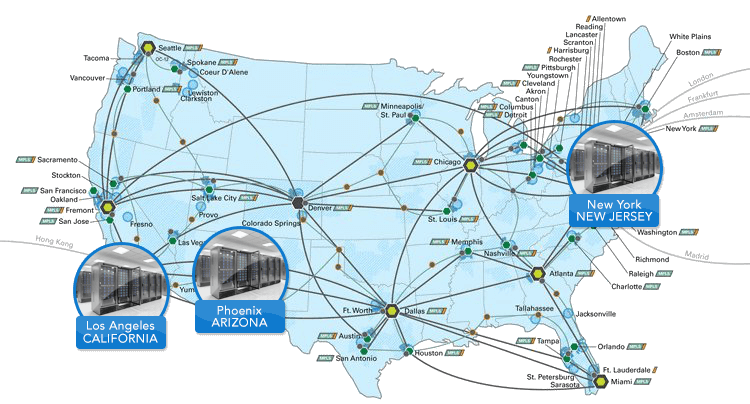 Global IT coax services are connected into premium data centers, where all carriers merge and connect with minimal latency errors. This well engineered system helps reach USA and global networks the fastest possible way. These intelligently engineered systems bypass usage, or failures which are common aggregation issues with coax. The Global IT IP Network (“Network”) used to furnish Dedicated Internet Access (“DIA”) includes owned and controlled circuits, including transit connections, but does not include the local access circuit (e.g., local loop), Routers, Customer Premise Equipment, or Customer's Local Area Network (LAN). For purposes of Service Level Guarantee measurements, Network performance does not take into account scheduled maintenance events, Customer-caused outages or disruptions, interconnections to or from, and connectivity within, other Internet Service Provider (ISP) networks, or force majeure events as defined in the relevant Service agreement. 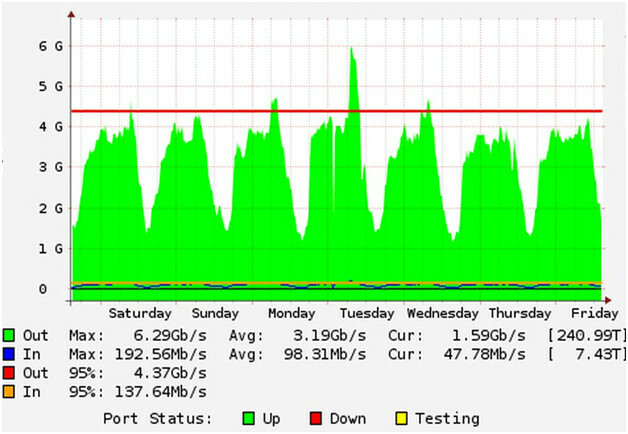 The Network is guaranteed to have a monthly average packet loss of no greater than one percent (1%) during any calendar month. If the Packet Loss Guarantee is not met during a calendar month and the failure is reported to Company by Customer, Customer will receive a credit equal to the pro-rated one-day amount of the MRC for Service for the month during which the Guarantee was not met. Limits on credits and credit request procedures are established below under “Credit Limits and Reporting Procedures”. The Network is guaranteed to have a monthly average network jitter delay of no greater than one (1) millisecond during any calendar month. If the Network Jitter Guarantee is not met during a calendar month and the failure is reported to Company by Customer, Customer will receive a credit equal to the pro-rated one-day amount of the MRC for Service for the month during which the Guarantee was not met. Limits on credits and credit request procedures are established below under “Credit Limits and Reporting Procedures”. Total credits awarded for Service during any calendar month for failure to meet any one or more of the Guarantees shall not exceed the MRC for the affected Service. To be eligible to receive credit, Customer must report any failure(s) by telephoning Global IT Communications at (877) 822-5565 and complying fully with any informational requests made by Global IT Communications.